CAPE CANAVERAL, Fla – Yet another historic element of Cape Canaveral Air Force Station’s launch infrastructure is coming to an end. The demolition of the Space Launch Complex 17’s (SLC-17) blockhouse at Cape Canaveral Air Force Station is almost complete, with the rest of SLC-17 soon to follow. Currently, the mobile service towers are still standing, but this too is only a temporary situation. Soon charges will bring the MSTs’ storied career to a pyrotechnic close. Construction on the facility had started on Nov. 29, 1956 with the first launch taking placed on Jan. 25, 1957. SLC-17 was refurbished during the 1960s so as to be able to support a broader range of Expendable Launch Vehicles (ELVs) which were derived from the Thor system. After these upgrades were made, Thor became the Delta family of rockets. SLC-17 had the longest service record of any pad located at Cape Canaveral. SLC-17 was used initially to launch the PGM-17 Thor rocket. Thor evolved into the Delta II, which saw its last flight from the Cape with the launch of NASA’s Gravity Recovery and Interior Laboratory (GRAIL) mission which launched to the Moon on Sept. 10, 2011. 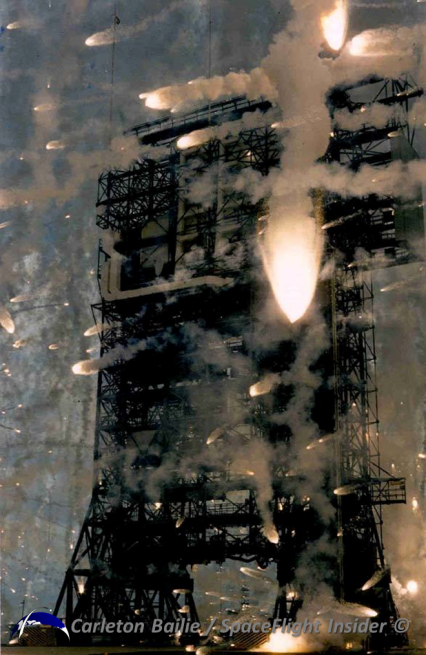 When all was said and done, some 164 launches took place at SLC-17. Some of NASA’s most famous missions have seen their start at SLC-17. These include, but are not limited to, NASA’s Explorer and Pioneer probes, the Orbiting Solar Observatories, Solar Maximum, TIROS, the Mars Pathfinder mission, the twin Mars Exploration Rovers: MER-A – Spirit and MER-B – Opportunity, MESSENGER, Deep Impact, the Mars Phoenix Lander and Dawn. There were also less-than-successful incidents which marred SLC-17’s track record. On January 17, 1997, a Delta II carrying the GPS-IIR-1 Global Positioning Satellite for the U.S. Air Force exploded some 13 seconds after liftoff due to a crack in one of the launch vehicle’s solid rocket boosters. GPS IIR-1 was to be the final launch that utilized the blockhouse at SLC-17. Afterward, launches were conducted from a Launch Control Center at the 1st Space Launch Squadron’s Operations Building. 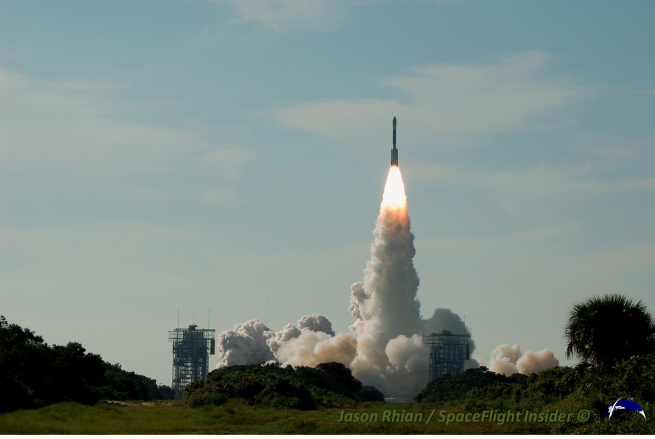 Then there was the ill-fated Delta III experiment. This launch vehicle, with its large fairing, flew only three times, the first two were failures and although the third flight was deemed a success, it carried only a dummy payload or “mass simulator” as it is known within the industry – to a lower-than-planned orbit. After this third mission, it was quietly cancelled. Attention was then directed to the Delta IV family of rockets. Despite these incidents, in terms of the Delta II, the rocket would go down as one of the most successful launch vehicles to date. 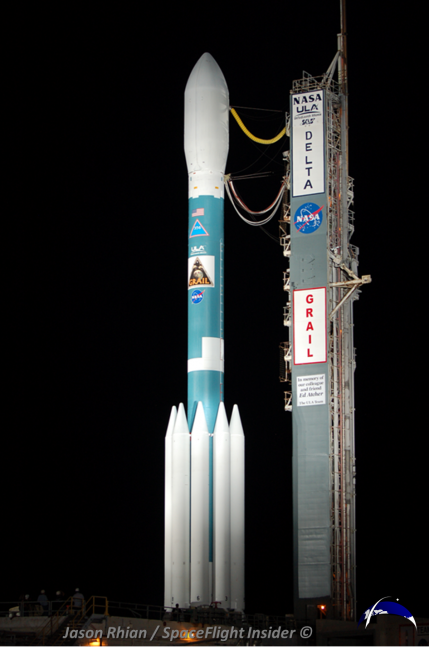 After the launch of GRAIL, there was talk that the site might see continued use as NASA had opted to purchase three more Delta II rockets for use on upcoming missions. This was not to be however. The missions selected to use the Delta II included the Orbiting Carbon Observatory 2 (a replacement for the doomed OCO spacecraft), the Soil Moisture Active Passive (SMAP) and the Joint Polar Satellite System (JPSS-1) missions. All of these spacecraft will launch from Vandenberg Air Force Base located in California. 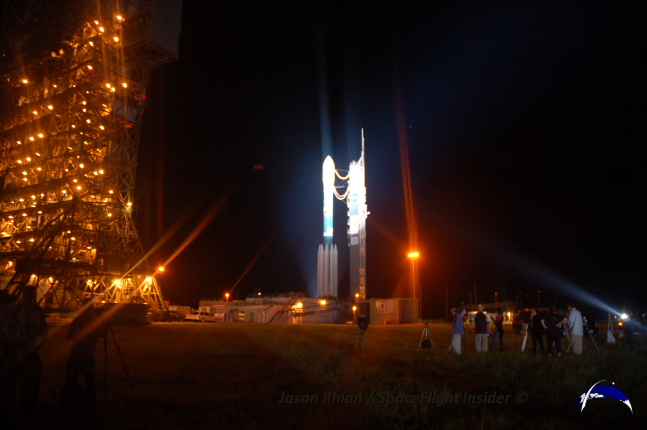 This meant that Cape Canaveral’s Delta II era had come to an end. At least for the next four years, Florida’s Space Coast will only see launches from Space Launch Complex’s 37, 40 and 41. SLC-37 is the launch site of the Delta IV rocket, SLC-40 is the Florida launch site for SpaceX’s Falcon 9 and SLC-41 is where the Atlas V family of rockets is conducted from. In 2017 NASA plans to launch the first of the space agency’s new heavy-lift booster the Space Launch System From Launch Complex-39B. In the following year, NASA’s Orion spacecraft will be sent aloft from the Cape’s Space Launch Complex 46 atop the first stage of a Peacekeeper missile where it will conduct an ascent abort test.